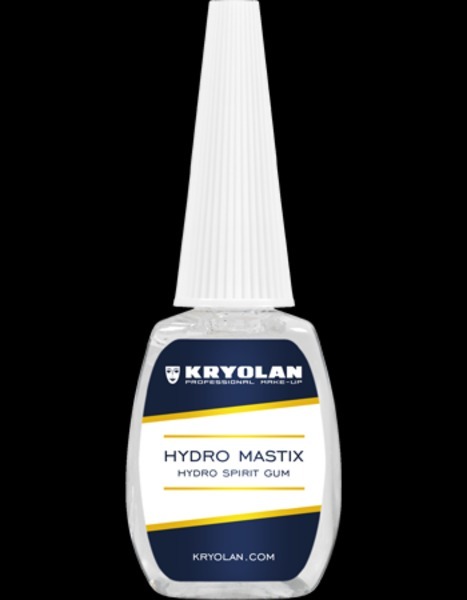 Hydro Spirit Gum is effective in adhering objects for short periods of time, and for holding down hair and eyebrows before they are covered with a bald cap or plastic film. 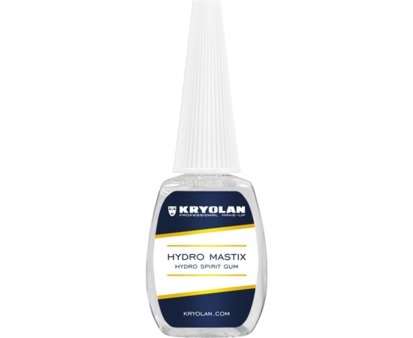 Use a brush to apply Hydro Spirit Gum and allow to dry slightly before adhering the required hair or objects. Since this is a water-based preparation, Hydro Spirit Gum dries slowly. Warm air can be used to speed up the drying process. This product can be easily removed with soap and water.